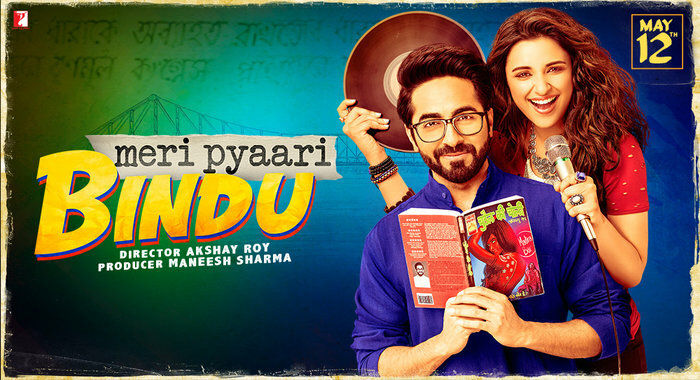 Meri Pyaari Bindu is an Upcoming Bollywood Film in 2017, It is Romantic, Drama, Comedy Film and Ayushmann Khurrana, Parineeti Chopra in lead roles. This film is Directed by Akshay Roy and Produced by Aditya Chopra, Maneesh Sharma. It is made under the banner of Yash Raj Films. 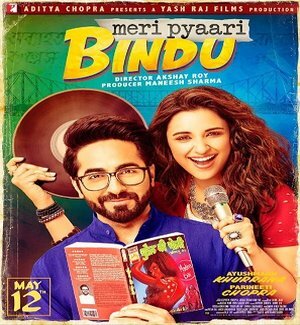 Meri Pyaari Bindu is scheduled to release on 12 May 2017. This movie presents fresh music album with diverse selection of songs. 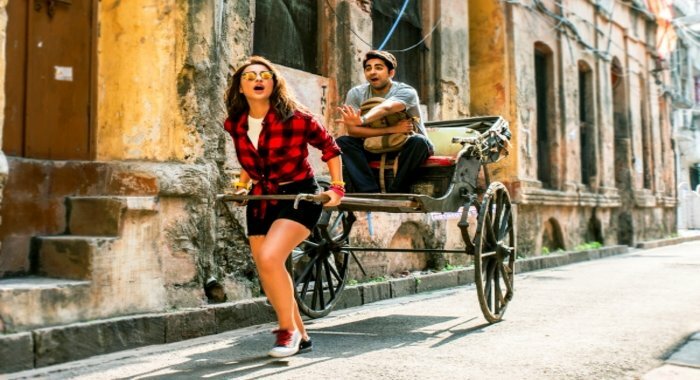 Parineeti has recorded first song "Maana Ke Hum Yaar Nahin" for this film. Yash Raj Banner's Aishwarya Khurana and Parineeti Chopra starrer 'Meri Pyaari Bindu' has been released. The song is 'Khol De Baahein' and this song has been done by Monali Thakur for the goodness of Hindi and Bengali language. 'My sweet point' is a writer and a singer's love-story. At the time of Whatsapp and Tinder, the love story of typewriter and cassette tape seems very innocent. Storyline:- Favorite songs, past memories and an ex-girlfriend inspire a successful writer to pen an old-fashioned love story. Bonding over samosa & chutney, little Abhi has his 1st encounter with little Bindu and instantly falls in love with her, bringing oodles of ‘aww’ on-screen.